PLOT: A group of high school students gets their kicks by competing in ninja-themed, capture-the-flag games at night. Coupled with their sunrise martial arts practices, this hectic pace leaves most of them snoozing in class during the school day. The result? They have no time to plagiarize homework or smoke dope behind the bowling alley. As the competition for university admissions grows more fierce, the high school students of today must be more well-rounded and active than ever before. In addition to being a star athlete and successful academic, a student also needs to play a musical instrument, write for the student newspaper, and volunteer time outside of school if they hope to attend a top institution. The students in Mark Joffe’s 1987 film, Nightmaster, have a similar dearth of leisure time. Playing ninja dress-up and staying after school for kendo practice might not be pre-requisites for getting into elite colleges, but they provide discipline, improve cardiovascular conditioning, and teach you techniques for beating up drug dealers (if needed). These are life skills, people! Every high school has their stereotypical cliques: the jocks, the nerds, the burnouts, the art kids, etc. Somewhere in that mix are kids who practice martial arts together. As students in Mr. Beck’s (Martin) before-school martial arts course, Amy (Kidman), Robby (Jennings), Simon (Shadlow), Brian (Clifford), and Henry (Broun) are one such crew. After then sleepwalking through a day of classes, they sharpen their skills at night by participating in an elaborate game of capture-the-flag at an abandoned factory. Gamers are cloaked in black hoods and garb and supplied with maps and various paintball-slinging devices; be the first one reach the “sanctuary” (a bell) without any paint on you, and you win. Losers who get marked with paint during the game are forced to wear it to school the next day as a badge of incompetence. Aside from all the mental exercise, physical exertion, and lack of sleep, it sounds like a good time. The reigning champion in this game is Robby, and his advanced skills are the result of grueling, one-on-one instruction with Beck, a former military man and the only surviving member of his platoon. Lately, however, the intensity of the training has made Robby negligent in his schooling and his primary instructor, Ms. Spane (Samuel), believes that the influence of Beck (her former love interest) is having a negative effect on the the gang of martial arts misfits, Robby especially. Amy grows jealous over Spane’s concern for Robby, because she harbors romantic feelings for him. The school’s sleazy drug dealer, Duncan (Pearce), has his eyes on Amy and enjoys antagonizing Robby, but he also hangs around the martial arts practices for unknown reasons. Is Beck such a bad guy? Will Amy confess her true feelings to Robby? Are any of these people even ninjas? When games of paintball and gymnastics routines are more frequent than fight scenes in an action movie, you’re gonna have a bad time. The personnel is more than capable -- Mad Max: Fury Road stunt players Rocky McDonald and Guy Norris are among the stunt performers here -- but the film fails to carve out enough space for any interesting action scenes for the stunt team to execute. The ninja games have some visual flourish with the misty factory and the neon colors of the paintballs, but the scenes aren’t edited in a way that builds any tension. The kickboxing scenes are a messy blur, and the kendo fight and a rooftop battle in the climax are the only fight scenes worth writing home about. To blame screenwriter Michael McGennan’s story or Mark Joffe’s direction would be speculative; there are a lot of reasons for why films handle action poorly. Regardless of the factors, the net effect of this failure of imagination is a dull pace that nearly sinks the film. Perhaps the only reason anyone would know about this film in the first place is that Nicole Kidman is in it. She’s cool here -- likable with a good amount of screen presence despite being stuck in the “secretly fawning friend of Robby” role. She doesn’t get much screen-time in terms of the action scenes, though the epilogue references a development that puts her on equal competitive footing with her crush. Watching her early-career films like this one offers few clues about her future success, or the fact that she would one day urinate on Zac Efron. Sometimes you get hints of that glimmer in a star’s early performances, but this is not one of those cases. The rest of the cast is serviceable. Tom Jennings, of Mad Max: Beyond Thunderdome fame, is decent as a lead; his character ranges from arrogant to pissy and eventually humble, and he’s up for playing all of those tones. The real revelation, if there’s one at all, is Vince Martin channeling his inner Martin Kove to do his best John Kreese impression. He strikes the right balance between taskmaster and chummy and charismatic teacher, while letting some internal conflict bubble up at the appropriate times. I found myself engaged with his arc above the others despite some pretty ham-handed foreshadowing in the beginning of the film. Taken in total, the dramatic performances are the best part about the movie. Well-acted chopsocky films are few and far between, and those without much martial arts may be even more rare. This combination makes Nightmaster a bit difficult to evaluate. On the one hand, it’s an overly talky film that plods along while lacking either the narrative weirdness or pace of action to make it compelling viewing. On the other hand, the acting is a lot better here than in most films of its ilk and it offers a mildly interesting subversion of the master-student dynamic. That alone makes it different a different brand of ninja film, though not one I’d go out of my way to recommend. Streaming on Amazon Prime! DVD on Amazon, eBay. PLOT: A martial arts champion travels abroad for a fighting tournament, only to be sidetracked by a dangerous scheme involving ninjas, terrorism, and virus engineering. Because he failed to purchase travel insurance, he’s unable to recover any of his money. There’s no shortage of talented people who hated the practice or products of their exceptional gifts. Before a Paris gallery showing in 1908, Claude Monet destroyed more than a dozen paintings in his infamous “Water Lilies” series; this sort of purge was a pattern for him. Sir Arthur Conan Doyle grew to despise his popular Sherlock Holmes character so much that he killed him off in a story and stayed away from Holmes for the next eight years. Not even the chopsocky genre is immune to this sort of self-directed grumbling. 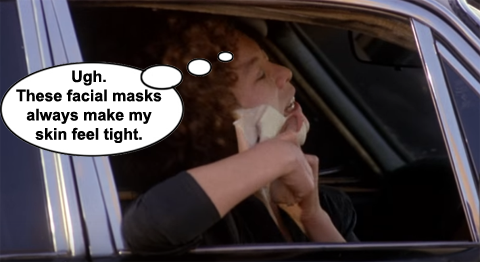 In American Ninja 3, Curtis Jackson, played by Steve James, is sick and goddamned-tired of fighting ninjas, despite his innate ability to wreck shop. This is like penicillin complaining about being a great treatment for bacterial infections. All bellyaching aside, this would mark the first film in the series in which which director Sam Firstenberg and star Michael Dudikoff sat out to make room for new talent. Taking over the director’s chair is South African filmmaker Cedric Sundstrom, who did a few features after this and then (for better or worse) moved on to television. To replace Dudikoff -- at that time, a male model with decent screen presence but limited fighting chops -- the Cannon Film Group enlisted David Bradley, a practitioner of shotokan and kempo (kenpō) karate. His screen presence at this point consisted of an upbeat fighting style and a barely perceptible Texas drawl, topped with a shaggy coiff that would make Sho Kosugi proud. Bradley plays Sean Davidson, an American who trained in ninjutsu as a youth under the tutelage of his murdered father’s master, Izumo (Jung). Sean is recruited for a lucrative fighting tournament in the fictional banana republic of Port San Luco, Triana, where he befriends a fanboy named Dex (Kissler) and U.S. military strongman Curtis Jackson (James) who’s probably on vacation to get the hell away from his co-pilot in the first two films. Little does the trio know that the tournament was hatched by the evil Cobra (Gortner) to ensnare one lucky participant for more nefarious purposes. Through his East Bay Laboratory enterprise, he hopes to use viral engineering to control fighters for more precise and efficient terrorist operations, and sell this product to the highest bidder. His colleague and the head trainer of his ninja outfit (and a hensōjutsu master at that) Chan Lee (Chan), has pre-selected Davidson for evaluation in the test pilot. What might happen if Sean is infected by the Cobra’s evil virus? Superhuman strength? Complete ambivalence to pain? Mood swings? A burning sensation while urinating? 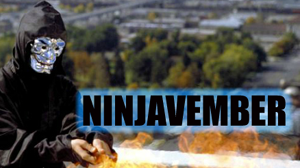 The prevailing opinion among chopsocky heads is that this is the sequel where the American Ninja franchise officially went off the rails and straight into the crap bin. I don’t buy into that narrative. Here’s the harsh truth, y’all: these films were not good. Sure, the first one had lasers, Tad Yamashita, and that cool girl from Weird Science and Friday the 13th: The Final Chapter. The second one had beach fights and Body Glove wet-suits and the continuing Dudikoff-James bromance. Were they more “fun” than this one? Maybe, but that’s all subjective. Any perceived drop-off in quality between the second and third entries is splitting hairs, if you ask me; we’re not debating The Godfather versus Air Bud here. The most problematic difference between this film and its predecessors it is the direction. 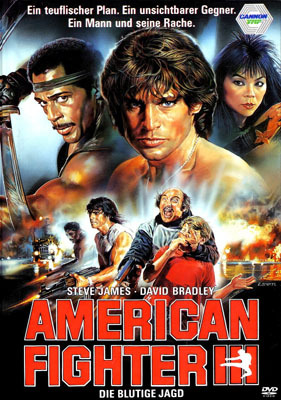 Cedric Sundstrom may be a capable director in some regards -- he made the saxophonist-vengeance trash gem The Revenger the same year -- but his first installment of American Ninja is a stale, messy regurgitation of old plot points. The first two films saw the heroes taking down ninja terrorists, before fighting a villain called “The Lion” who ran an experimental ninja program, respectively. Sundstrom’s film has a villain named “The Cobra” who runs an experimental viral ninja program to benefit the world’s terrorists. Yeah -- tomayto, tomahto. There are plenty of other story miscues, from the abandoned fight tournament plot point, to a goofy and protracted motorized hang-glider scene. The East Bay Laboratory’s high-tech inner lair is just fluorescent lighting and a bunch of colorful, steamy liquids bubbling in beakers. For reasons that elude me, the lab station is surrounded by half-naked dudes on pedestals who are button-activated into ninja mode at the end of the movie. This is the kind of stuff that you might dream up after eating a hash brownie before bed, but it’s not something a rational person should commit to film (even in the 1980s). Sundstrom’s command of the action elements is equally suspect. Outside of a single car-splosion, there are really no elaborate stunt sequences in the film, but the audience is treated to a fight scene once every 15 minutes or so. 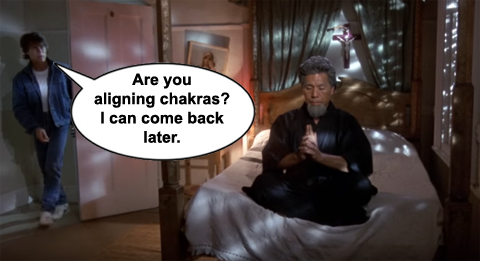 That’s a fine pace, but the film’s lead martial artist and its choreography (via Mike Stone) are frequently betrayed by poor shooting angles and coverage. This leads to a few scenes dogged by choppy editing that exposed plenty of strikes revealing too much space. (If you watch enough of these films, you can probably forgive the lack of quality control). Despite his character’s objections to the contrary, Steve James is having a good time cracking heads and throwing around stunt dudes in ninja garb. He has a scene in the film’s climax where he wields double swords and hacks and slashes his enemies to pieces, with all of the correlating sound effects ... but none of the visual bloodletting. Like a lot of other things, it wasn’t in the budget, I guess. The supporting cast features a couple of interesting choices. Gortner was a controversial Pentecostal preacher from a young age and his biggest cinematic claim to fame was the Academy Award winning 1972 documentary Marjoe, which tracked his rise on the tent revivial circuit to televangelism and his final revival tour. Considering his history of blowhard behavior, it was a big surprise/screw-up to see him so subdued here. As the ninja leader with a conscience, Michele Chan is pretty good and has amazing rockstar Jem & the Holograms style spiky hair. These days, she pursues philanthropy and is married to billionaire Patrick Soon-Shiong, a co-owner of the Los Angeles Lakers. I’m sure she credits this film for most if not all of the great things in her life. 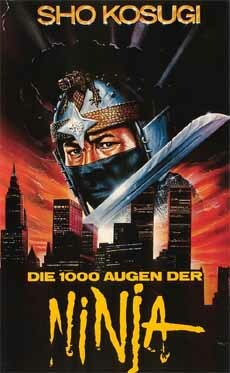 To reiterate, this is an uneven ninja film where the star spends all of about 20 seconds in a ninja suit. On balance, though, the film gets one point for David Bradley’s debut, another point for Steve James being awesome in a “Shalom Y’all” shirt, and a third point for Michele Chan’s incredible mane of hair. After that, your mileage will vary. If you enjoyed the 80s cheese of the second film in the series, this one cranks the funk up a few notches, but pure action aficionados are likely to turn their noses up at this one.